More books on the Holocaust genre. Publisher: Yearling books, an imprint of Random House Children's books. 'Heroes of the Holocaust' is the book celebrating the spirit, fortitude, grit and determination of five teenagers who defied all rules laid by the Nazis and put their sincerest efforts in helping the Jews during WWII period. Despite the situations, the stories are not depressing or sad rather these are captivating and inspiring accounts of young adults who never feared for their own lives, instead they displayed unmatched sensibilities and compassion and had no qualms following their own hearts. The book starts with a brief introduction of the history marking the dates of - rise of the Hitler's empire, the gradual invasions and occupations by Hitler's armies in neighboring countries, Hitler's 'final solution' creating the conditions for Second World War and finally the fall of Nazis. The simplified map of Eurpoe in the beginning helps in understanding how the Nazis were advancing and some of the neutral countries which provided the safer grounds to many Jews during that time. Also, the terminologies used, such as SS, Gestapo, resistance groups, labor and concentration camps are briefly explained in the prologue part of the book making it easier for the young readers to understand. Poland based Maria Andzelm helped in hiding two Jewish men underneath the floor of a barn for two years when her many other Jewish neighbors and friends were deported to camps for inhumanly treatment. All through that time, she firmly believed in her father's faith 'If you do something good, something good will happen to you'. In another story, 16 years old Henri formed a Jewish student group in Belgium and helped his fellow Jews in hiding and providing the basic supplies to live for as long as possible. They truly exemplified the quality that during the most horrible times of their lives, they were looking out for others. 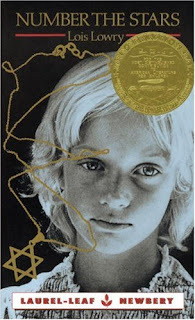 Then there is the story of Anne's (Diary of Anne Frank) sister's friend - Hilde. Hilde was a nurse in Holland, who helped many Jewish little children about to be deported to the camps with their parents, find Christian homes to avoid the inevitable. All these stories are true accounts with original names of persons and places which makes it all the more authentic. After each story, the curiosity of the readers to know about these heroes is satisfied by briefly providing the details of how their lives changed after the World War II. Some of these people were later honored as 'Righteous Among Nations' and their names entered the pages of history in golden words. Those times though very sad, brought the best in many people which gives hope for many generations to come that there can never be dearth of goodness in human race and that one Hitler can never win against innumerable such beings. I think such books are perfect way to remember those compassionate souls and follow their ideals. As the author mentions in the introductory passage : 'The Holocaust will remain a sacred and painful memory of the millions who perished. Yet in the darkest hours of the human race, the lights of compassion and courage still glowed, thanks to the heroes of the Holocaust'. Cover illustration of a boy. From the Panstwowe Museum Oswiecim Brezinske, Auschwitz. By Ali Campbell. Publisher: Black Swan books for Random House. 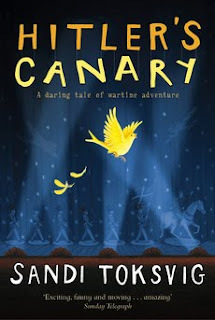 'Hitler's Canary' is based on how Danes helped the Jews of their country from the deportation to the concentration camps run by Nazis. The citizens of Denmark (Jews or not) stood together as one united nation which gets evident by this small incident - A German soldier once asked a Denmark passer-by "Who guards your King?" To which the man replied, "We all do". 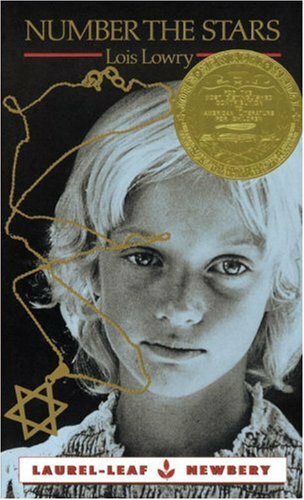 This book, very much on the same lines as 'Number the Stars' by Lois Lowry, begins in 1940 at Copenhagen, the year when Nazis invaded Denmark and the German soldiers on every street became the regular feature in Denmark. Bamse, a 10 year old boy is not a Jew but his best friend Anton is. Bamse's theatre actress mother and painter father did not want to get involved in anything political but his elder brother Orlando is part of a resistance group, he cannot accept his country being named 'Hitler's Canary'. He urges his parents to do something and not pretend that everything is normal - 'We have a duty as Danes. Think of our history. We were the first European nation to grant the Jews full, unconditional emancipation. We were the first country to abolish slavery officially. We can't give it now." But his father has a valid argument too, he believes that 'Denmark is a tiny nation. We can't fight our enemies. We haven't the strength. They won't take the Jews or anyone as long as we cooperate. The Germans will leave us and the Jews alone as long as they are not provoked.' But unfortunately the Jews are not left alone. When he gets the information that the Dane Jews are to be rounded up by the Nazis to be sent to the concentration camps, the whole family works towards protecting the refugees and making arrangements for their safe exit to the neutral grounds of Sweden. In order to accomplish this task they 'do whatever they do well' - his father painting a false wall behind which the refugees could hide and his mother delivering a live performance in front of the Nazi soldiers on the lookout of Jews. Nice compilation yet again utbt. 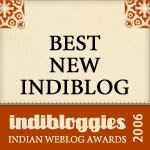 I'd like to add to WJ's list- all in the YA category. 'Anne Frank and me' by Cherie Bennett and Jeff Gottesfeld: It's premise is much like that of 'The Devil's Arithmetic.' A teenager from today's time travels back in time unexpectedly to Nazi-occupied Paris in WW2. 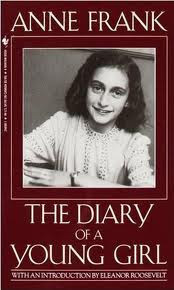 In her struggle for survival she encounters Anne Frank at a concentration camp and befriends her. 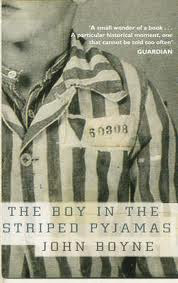 'The Book Thief' is a wonderful book, WJ, a bit different because the protagonist is not a Jew. Death as the narrator was apt for this WW2 based book. Hi, Have you got an ISBN no. 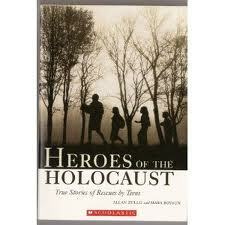 for the Heroes of the Holocaust book please. I can't find it on the web and would like to read it with my son. I've stayed away from this post because the word Holocaust was enough to freak me out. I've come back and read the reviews and I feel better. Maybe its time to introduce the kids as well as myself to some of these. I would like to add to add books by Roberta Kagan. A golden child is engineered to become a perfect specimen of Hitler’s master race. But plans can change. Alliances can be broken. Love and trust can be destroyed in an instant when people are not what they seem. In a time when the dark evil forces of the third Reich hung like a black umbrella of doom over Europe a little girl will be forced into a world that is spiraling out of control a world where the very people sworn to protect her cannot be trusted.